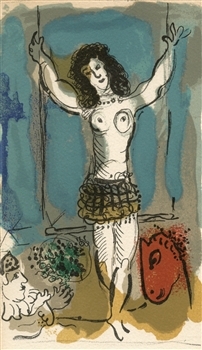 Medium: original lithograph in nine colors. 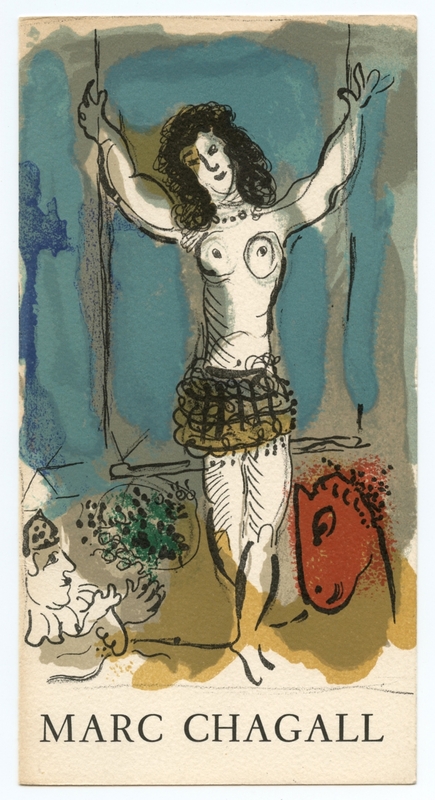 Executed by Chagall in 1967 especially for this scarce Berggruen catalogue and printed in Paris by Mourlot Freres and published in 1967 by Berggruen. Size: 8 5/8 x 4 1/2 inches; 220 x 115 mm. Not signed. The artist's name is printed in text beneath the lithograph.